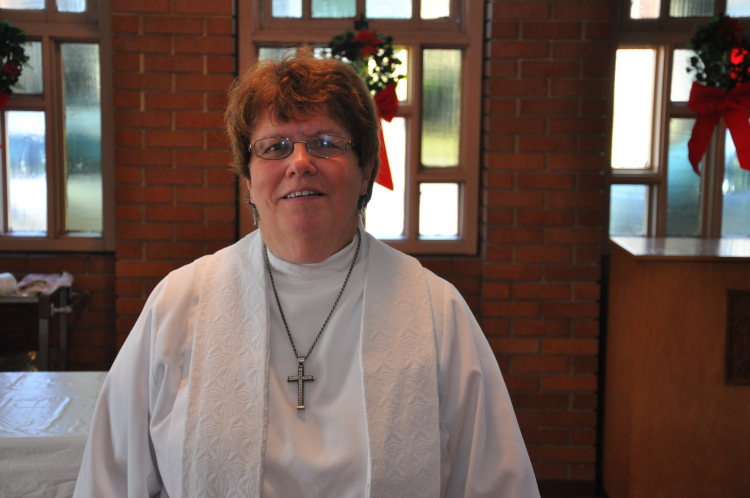 Our Pastor, Joanne Fitzgerald, was ordained in November of 1997. She has served 2 other congregations in the area. Prior to ordination Pastor Joanne was working as a Medical Technologist in local Chicago hospital. She is a lifelong Lutheran. She is a graduate of Pacific Lutheran University (with majors in chemistry, German and Medical Technology) and of the Lutheran School of Theology at Chicago. She loves to bake bread, golf, bowl and loves ceramics. She aspires to have a hole-in-one in golf someday. Pastor Joanne is married to Robert, and they have 3 adult children who live in the Chicagoland area and has 3 grandchildren. She was born in Chicago but moved at an early age to Scottsdale, Arizona, with her sister and parents as her mother has health issues. In the Metropolitan Chicago Synod, Pastor Joanne is currently a dean of the Central Conference and convener of the Working Group of the Middle East. She loves to tell people about her faith and love of Jesus and her ministry experiences. She seeks to make disciples of all.